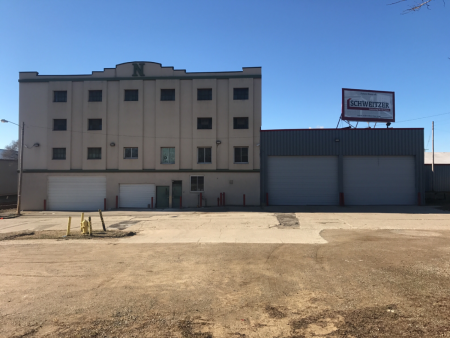 Battle Creek commercial construction company, Schweitzer Incorporated, has recently begun extensive renovations to the facility previously owned and occupied by Norman Foods, located at 86 South Division Street. The building was originally constructed in 1922 for the Taylor Produce Company. Schweitzer Inc. purchased the 90,000 sf building in the fall of 2015, and it will become their corporate headquarters. Rendering of exterior renovation plan for Schweitzer Inc.’s new headquarters at 86 S. Division Street in Battle Creek. Schweitzer’s current plans are to occupy the first floor of the four-story structure as their corporate office and the attached warehouse for their various trade divisions. The second, third and fourth floors will be reserved for future office-space tenants. This move will more than double their storage space and triple their office space. “The City of Battle Creek and many of its local businesses and institutions have been very loyal to Schweitzer Construction since it was founded by John J. Schweitzer 55 years ago,” said Tom Beuchler, Schweitzer President and CEO. The company is now in its third generation of ownership. 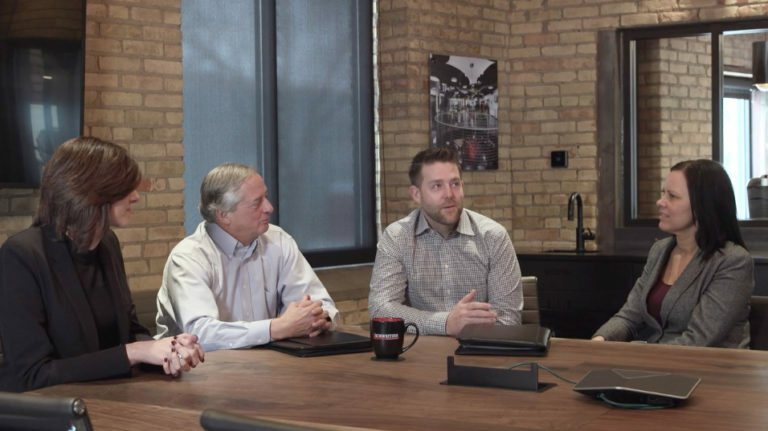 Andrew (Drew) Schweitzer and Beuchler began looking at various downtown properties over three years ago, having outgrown their current office and wanting to support the city’s revitalization mission. “We have been involved with many downtown improvement projects in recent years and are glad to be adding to the momentum through the rehabilitation of this facility,” Beuchler added. Beuchler acknowledged the City of Battle Creek for their help in the transition. Vice President and COO Drew Schweitzer visited the Norman property in 2015 and could visualize its potential. “We are pleased that we are able to bring this vacant and deteriorating building back to life and restore a part of Battle Creek’s history,” Schweitzer said. Schweitzer collaborated with numerous consultants to develop the vision, preservation, space planning and design for the renovation of the original 1922 building. The plans include preserving the building’s original character, including exposed brick walls and wood beams. The company plans to have their steel division and portions of our paint division continue to work at their current facility in Pennfield Township. Schweitzer Incorporated employs up to 85 field personnel who specialize in carpentry, general trades, steel fabrication and erection, millwright services, painting/blasting and industrial coatings, as well as general labor/support services. They also employ 14 full-time staff members in project management, pre-construction, safety, administrative, and clerical roles.